LOW-CARB KIDS UPDATE: Need help and inspiration making healthy lunch boxes every day? Come and see what I pack. Join my FREE – Low-Carb Lunch Club and my closed group – Low-Carb Lunch Box hacks. Come and join in the fun. I’ll see you there. 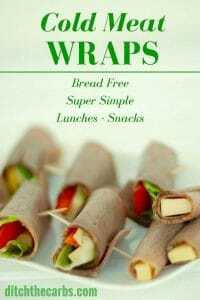 It can be so hard to pack healthy lunch boxes, we all need the inspiration to make easy, healthy, sugar-free lunch boxes. But where do you go? Join my FREE – Low-Carb Lunch Club and my closed group. I post photos of what I pack for my 3 kiddos each day to give you plenty of easy healthy ideas. These are 2 weeks of my children’s school lunch boxes to show you how easy they can be. Throw away your cookie cutters, no one has time for that! I have an 11, 14 and 17-year-old so I cater somewhat differently to each child’s appetite and taste. Sometimes they help me choose what goes in each day, and some days they will pack their own healthy lunch box. 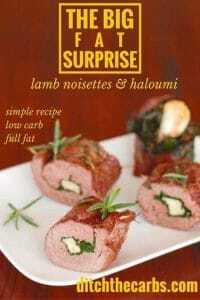 For all the recipes, take a look at my recipe finder and click on lunchboxes. Having low-carb kids is possible. It seems incredibly daunting at the beginning when we have been so used to throwing something in a sandwich, a muesli bar and a fruit yoghurt. How do you start to make the change away for ultra-processed food? When junk food is taken off the menu, it feels like an impossible task each day, but like everything in life, you begin with baby steps. You slowly get into a new routine, and you also find new favourites which you rely on frequently. Set a date in your calendar to stop buying sugar – forever!! Begin by thinking of your child’s favourite lunch box meal, and imagine if you can tweak it to become low-carb. 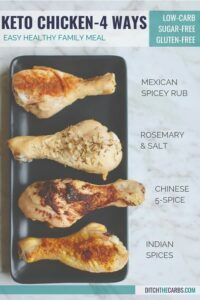 There are some easy healthy recipes below. 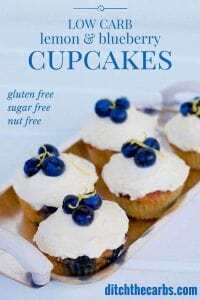 All of my recipes on the website are wholefood, low-carb, wheat-free, bread free, gluten-free, sugar-free, grain-free… and of course, are absolutely packed with nutrition. How? Because we have got rid of the starchy fillers such as bread, pasta, rice, wraps, and all the sugary foods like muesli bars, fruit yoghurt, dried fruit, and juice. 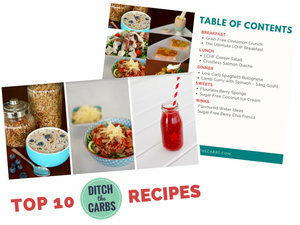 These are the top 6 recipes from the low-carb lunchboxes below that my kids love. If they are brought up with healthy food values, we hope it will continue throughout their lives and may influence others. The entire concept of a healthy family is one we should all strive for. But remember, any step is a great one. Don’t be put off that it is too hard, be proud of any achievement and you are trying your best. I have written an entire series on low-carb kids. 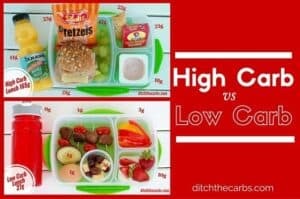 If you are new here you may wish to look at a regular lunch box vs a low-carb whole food lunch box. Every parent should read this post. 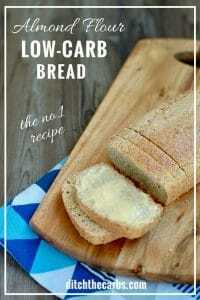 Low Carb Kids 2 – a printable guide to get your kids involved. 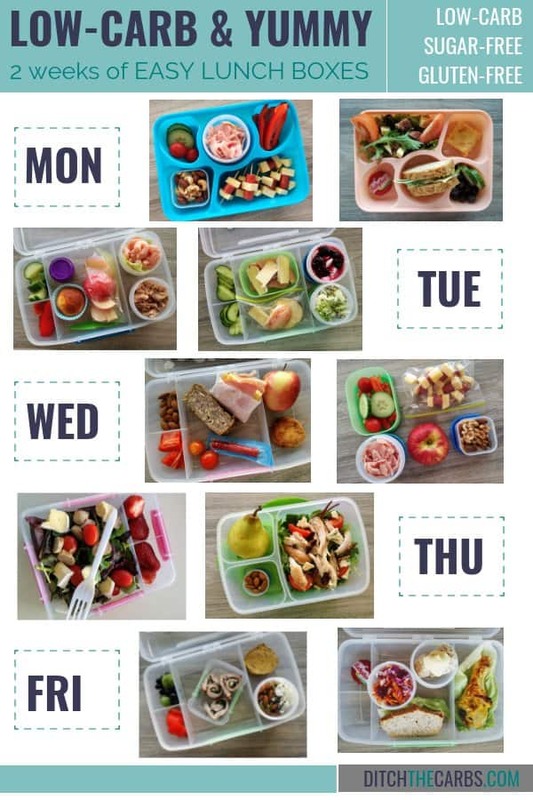 How to plan you lunchbox each day. If you are wondering how to start healthy lunch boxes, begin by getting the right lunch box and changing just one compartment each week. Baby steps make the transition an easier one for you and your healthy kids. Monday #1 – cucumber, cherry tomatoes, ham off the bone, red pepper/capsicum, selection of buts, pepperoni and cheese skewers. Monday #2 – salad with cheese and pepperoni, salmon crustless quiche, Babybel cheese, almond flour bread chicken sandwich, cucumber, black olives. Tuesday #1 – cucumber, red pepper/capsicum, nuts, lemon and blueberry cupcake, sliced small apple, prawn cocktail, leftover roast beef. Tuesday #2 – cucumber, sliced ham off the bone with brie, sliced small apple, natural unsweetened yoghurt and frozen raspberries, broccoli and cauliflower salad with bacon. Wednesday #1 – almonds, red pepper/capsicum, 3-seed bread, cherry tomatoes, pepperoni stick, ham and cheese layers, small apple, tuna fishcake patty. Wednesday #2 – cucumber, cherry tomatoes, ham off the bone, small apple, pepperoni and cheese skewers, walnuts and almonds. Thursday #1 – leafy green salad with leftover sliced sausages, brie, cherry tomatoes, strawberries. Thursday #2 – pear, almonds, leafy green salad with leftover roast chicken and sliced veggies. Friday #1 – broccoli, Brussels sprouts, red pepper/capsicum, Big Fat Surprise sliced, tuna fishcake patty, almonds, pumpkin seeds, sunflower seeds and coconut chips. Friday #2 – Babybel cheese, coleslaw, almond flour bread cheese salad sandwich, spiced chicken drumstick. It turns out peeled carrots that are stored (refrigerated) after peeling grow a lot of bacteria and are really bad for your gut. It seems so healthy but it is so bad for you. So buy regular-size organic carrots, wash and eat with the peel or cut/peel just before eating! mothers being critical of other mothers …typical! This is one mothers suggestions as to what she feels is a great low carb meal plan for her children..would I follow the recommendations? maybe…depends on a number of factors such as my financial situation and what is available from my local butcher and grocer, my kids likes and dislikes and also where we are starting on the low carb lifestyle – coming from eating waffles, toast with jam, lots of fruit etc. My reply to the comment of keto for kids being “dependent on budget and what my kids like and dislike”: I think we can all afford keto if we cut out the carbs, the fast food, the eating out, and the extras that are wants, not needs. 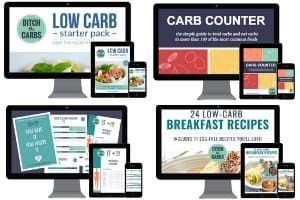 If you are committed to a healthy lifestyle of the keto WOE and want to impact your kids lifestyle and positive eating habits, you will research it and make it happen on the budget you have or find the money by cutting out things you don’t really need. If your kids don’t like the foods on the keto diet, they need to be retrained to like it. Get them involved with cooking, research recipes and reviews of foods your kids like and learn to modify your recipe so the kids like it. 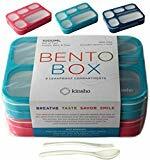 Why when I look up for sugar free snacks do I get the website for lunch boxes for sale? 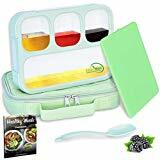 When I click on the picture of 2 weeks of lunches it takes me to Amazon lunch boxes how can I get the pic of the 2 weeks lunches? This is an updated post showing one month of my children’s lunch boxes and the entire list of contents. Right click and save image. Than print. Not seeing a healthy diet here, lots of processed and high fat food suggestions. How are soda or sausage good food choices? A healthy diet is more than just cutting out the gluten. I’m sorry I don’t understand what’s unhealthy about these ideas? to me they cater for the lchf lifestyle. No! typical mothers saying that! how could you do that to your kids! I don’t see where any soda is suggested. I think that would not be included in a healthy low carb diet. As for processed foods, they should’ve used sparingly. Good quality organic, grass fed, pasture raised products especially those made in a traditional way shouldn’t cause a concern. It seems you are still learning about lowering carbohydrates, which explains your concern about consuming fats. We all had the same misconceptions about fat at one point keep researching the topic, and the more you learn about the science, the more it will make sense to seek out higher fat content foods for optimum health. It’s wonderful that you have an interest in this way of eating. Best of luck to you! If you don’t like her lunchbox ideas, you’re more than welcome to not use them. If you don’t get the LCHF diet, maybe don’t comment on LCHF diet suggestions. These are great ideas for kids in keto families. My grandson is a natural vegetarian, even at age 3 he will not eat meat or eggs. Fortunately he loves my nut ball snacks, but i worry about him not getting enough protein – any suggestions? Will he eat meat hidden? In a quiche, in a sauce pureed? What does he eat if not eggs or meat, they are pretty important. You can usually get by without one, but not eating both must be incredibly difficult. To get protein he could have dairy, chia seeds, nuts, etc. It still won’t compare though to eating meat and the iron from meat. Many children I see who won’t eat meat it is because of the texture. What does his daily diet look like? Let’s see if we can get him eating eggs as a start. You are right…I am trying Low carb, medium fat and am really battling as I don’t eat much meat/fish at all. Dairy and eggs are fine but it gets really boring. p.s i cant tell what is in some of the lunch boxes although i have looked at the printable guide,is there any chance of a breakdown on each box if you have the time please? or is there something i havnt read? 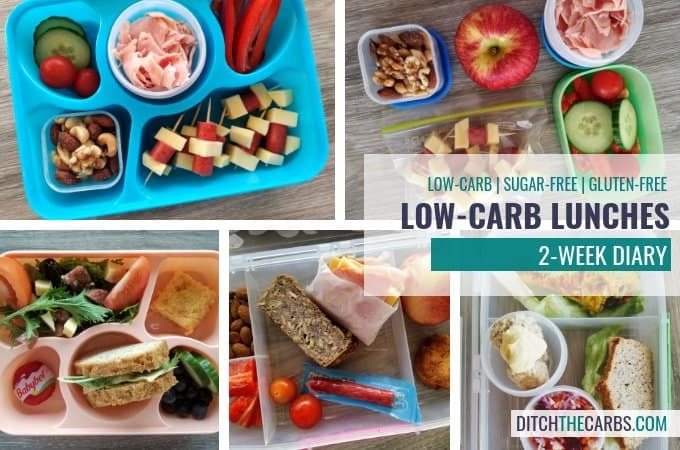 Take a look at my one month guide to low carb lunch boxes where there is a breakdown of each day. What is in number 9?? Sorry, I should write a list of what’s in each one, this was a post from a long time ago. 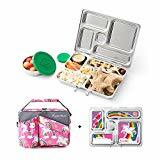 That lunch box has carrots, sugar free macaroons, salmon and cream cheese, seaweed slices (the packet) and cucumber slices. I love your recipes for kids, but my children are not allowed to take egg to School. How could I substitute? For protein you could give extra meat, cheese, nuts (if they’re allowed). 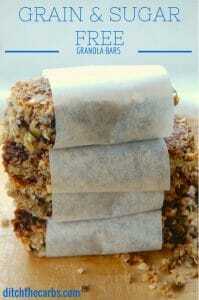 What a great website with creative healthy ideas. Thank you! Hi I love your site and would like to link some of my articles back to your site. Take a look at this printable guide I have made. There is a list of proteins, vegetables, good fats etc.